ACREX India 2019 is coming to the financial capital of India Mumbai to celebrate its 20th edition from 28th Feb to 2nd March, 2019. The mega event will witness participation from more than 25 countries including Belgium, China, Czech Republic, Egypt, France, Germany, Italy, Japan, Korea, Malaysia, Saudi Arabia, Singapore, Spain, Switzerland, Taiwan, the Netherlands, UAE, UK, Ukraine and USA. 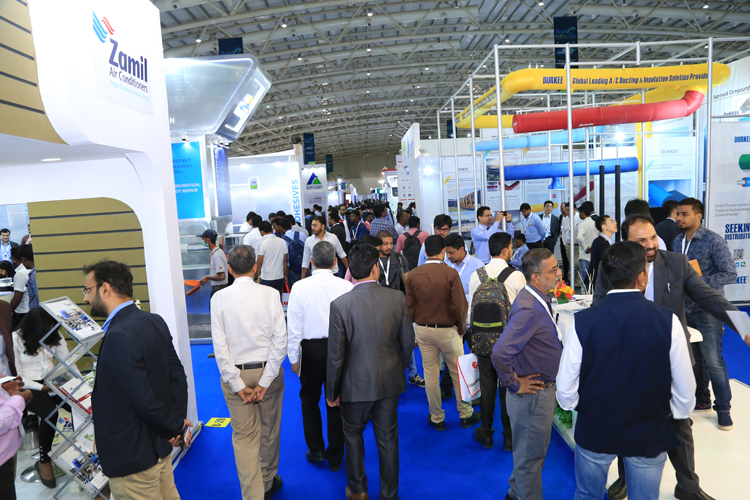 ACREX India 2019 is the flagship event of the ISHRAE – Indian Society of Heating, Refrigerating and Air Conditioning Engineers and co-organised by NürnbergMesse India creates a platform for HVAC&R industry to launch and reach out to the entire group of stakeholders and decision makers around the country and beyond. “In addition to being the feast to the eyes, ACREX India 2019 team has put together a string of workshops and technical seminars that bring the enhancement of knowledge element for the visitors. They will have access to attending high quality workshops and seminars on topics that are related to the current trends and practices of the HVAC&R field,” informs C Subramanium, National President, ISHRAE. ACREX 2019 seminars and workshops will be hosting an excellent platform which amalgamates the future trends and will hold court with some of the best knowledge speakers in their respective fields – there are programs to suit the area of interests in energy efficiency, healthy buildings, indoor air quality, refrigerants, IoT apart from engaging sessions from International Associations – USGBC, REHVA, CEEW, AAR, IAQA and ASHRAE. “India’s aggregate cooling demand is poised to grow 8 times over the next 20 years. This is happening because of growing urbanisation, increased aspirations, need for better thermal comfort conditions, worsening ambient air conditions, increased industrialisation and a fast-growing economy. All this will add to our energy bills as HVAC consumes the largest chunk of electricity in buildings,” states Vishal Kapur, National Past President, ISHRAE. The Indian HVAC&R market is quickly racing towards a size of more than USD 7,500 million in the next five years and that is the reason why every manufacturer in the international market would vie for a space in the Indian sub-continent. 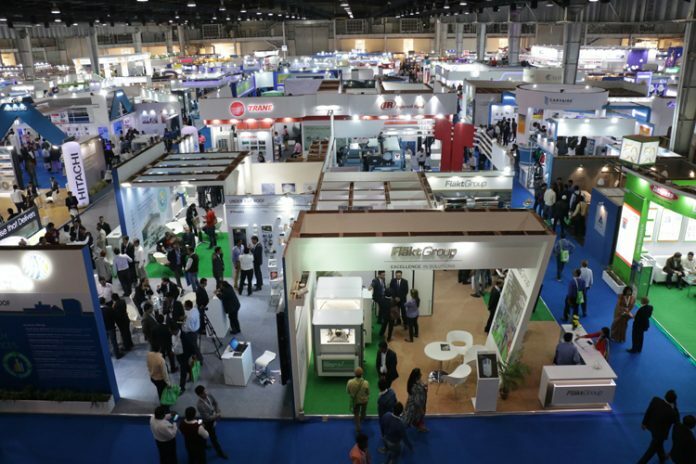 This is what ACREX India 2019 provides to the industry, thus creating a wonderful platform for all connected to the HVAC&R industry to launch and reach out to the entire group of stakeholders and decision makers. “February 28, 2019 will mark the commencement of the largest ever ACREX, in the heart of the commercial capital of India – Mumbai! 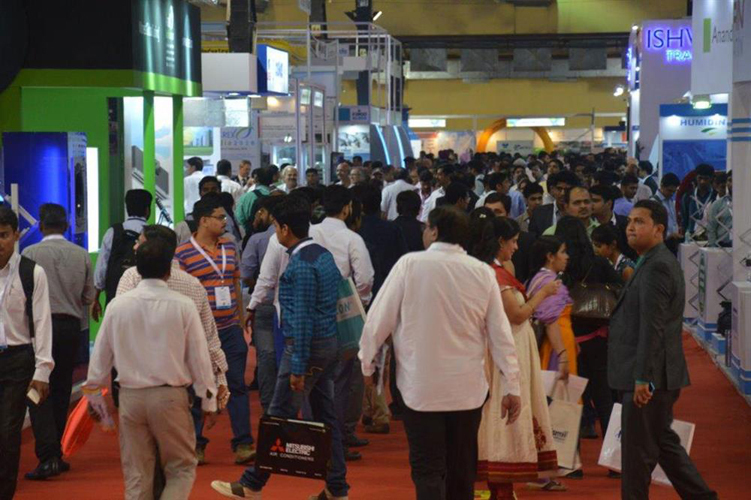 This is the time when all that matters are to witness the showcasing of the latest products, technology, solutions, capabilities, knowledge-spread across various identified segments in components and services, ventilation, air-conditioning, clean rooms, IAQ and building automation. ACREX 2019 spanning three days will help the visitor get updated on engineering design, procurement, project management, networking opportunities, executing business transactions,” says Kapil Purandare, Convener – ACREX 2019. Curtain Raiser: ISHRAE and Sanhua India bring the Curtain Raiser for ACREX India on 27th Feb, 2019. An exclusive precursor event for CEOs, top developers, architects, consultants and top officials from international associations to connect, share and create knowledge forums. ACREX Awards of Excellence on 28th February 2019 is an innovative initiative by the team of ACREX involving a jury of industry experts to award products and services in categories such as innovation, green buildings, energy saving, energy saving in refrigeration segment, green product, innovation in building automation, product with technology developed in India, and Indoor Air Quality. aQuest is a student competition organised by ISHRAE and powered by Hitachi every year, which is concluded with Grand Finale on 1st March at ACREX India 2019. ACREX Hall of Fame is a new industry benchmark instituted by ISHRAE and powered by Danfoss, to recognise the excellence achieved in conserving energy by commercial buildings in the Indian subcontinent. The coveted recognition aims to recognise iconic projects in India which can be global benchmarks in energy efficiency and sustainability and further encourage industry to utilise these experiences in building a sustainable HVAC industry and to also further showcase success stories in the HVAC space in India.